This new feature was announced a while ago, and we finally released it! Meet the Statistics tab in Brand Monitoring. The Statistics option provides infinite possibilities for mention analysis. Here you can find all your brand mentions that contain backlinks and find out who is getting more references over a specific time period – you or your competitors. Anxious to know what useful options you can find on the Statistics tab? Let’s see. 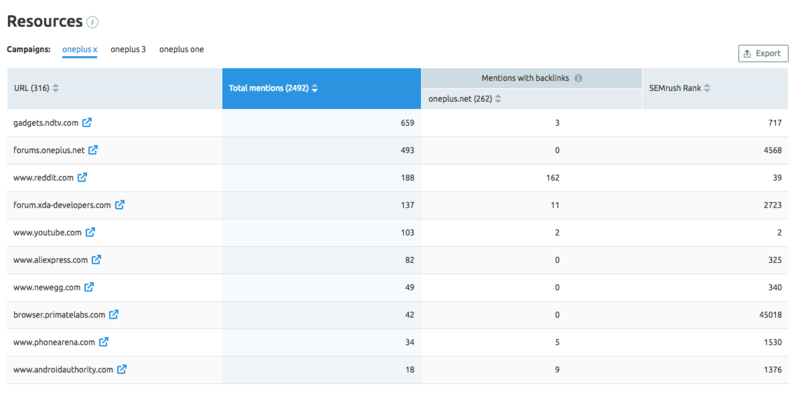 Working with this chart will allow you to track any changes in your total number of mentions for a single campaign, and compare mentions containing backlinks to the ones without backlinks. Up to three campaigns can be compared here. This chart is an extremely useful tool for mention comparison. 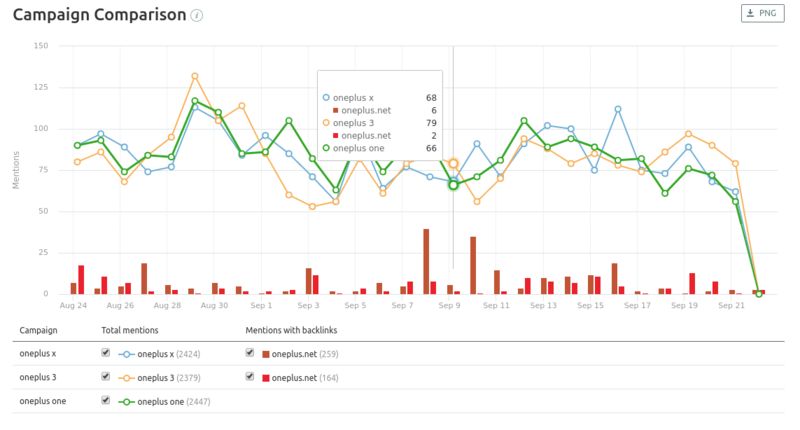 You can compare the total number of mentions and mentions with backlinks to the results of your rivals in no time. The most valuable thing about this chart is that it gives you an opportunity to figure out who’s getting more backlinks (you or your competitors), when keywords related to an industry or an area you’re interested in are mentioned. Scenarios of your work can be different. Say you need to compare two competing companies in the food industry and find out who is getting more backlinks with ‘fast food’ mentions. As the name suggests, this is a list of websites that refer to your brand. You can see how many times each resource mentioned your keywords and linked to your site during a selected period of time. This information will allow you to determine which resources already know your name and which ones you should better engage with to help your brand be within the top positions. It is also possible to sort your sources in this chart. For instance, pressing the ‘URL’ button will sort all URLs alphabetically. In addition, clicking on a resource will open its original domain in a new window. You can also block any resource. You can also save data from each chart as a PNG file. We hope you find this update exceptionally helpful. Feel free to send your feedback to [email protected].